Congratulations to NOKIN! 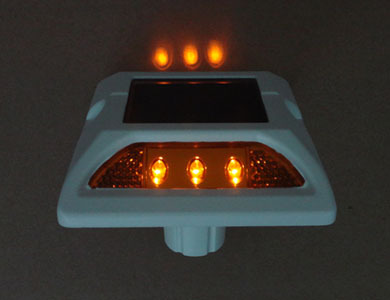 NK-RS-Q7 solar road studs has been succeeded in working in Oman. On November 1st, 2018, our Oman clients purchased 40,000 pieces NK-RS-Q7 solar road studs. As far as you know, riding on the bicycle road have already became a healthy way of life all over the world. However ,there is a problem about it. You can’t see the bicycle road clearly at night. On the other hand, the traditional solar road stud is too thick and above the road surface, which will make the cyclists fall down easily. What’s more, the thick solar road stud always making cyclists feel bumpy. That’s so terrible. But don’t worried. 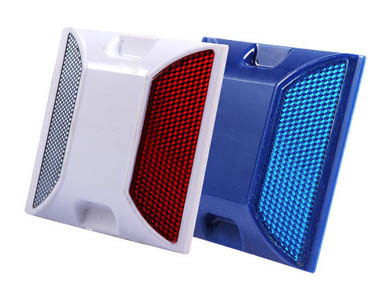 NK-RS-Q7 is special for bicycle road, it is only 11mm thickness, which keep cyclist safety. NK-RS-Q7 have became popular all over the world. Our Oman clients stated that excellent product works perfectly for us, delivered on time. They can not only lighting the roads, but beautify the cities. Good for Shenzhen NOKIN Traffic Facilities. This PC solar road stud is special for bicycle road, because it is only 11mm thickness, which keep cyclist safety. This products mainly be made with lithium battery, the warranty is 5 years. Easy installation with glue on the road, no need to dig the road. With more than 15 years of factory experience, cat eye road stud produced by our company owns competitive aluminum road stud price and offers more choice to global traffic road safety market and trustworthy partners all over the world. If you are interested in the products, you can send e-mails to us to ask for catalogue at any time, and we will reply you in detail as soon as possible. NOKIN can also supply OEM and ODM services for customers all over the world to ensure you to select the most suitable road stud for the clients’ needs.